Master Inventor and Chief Technology Officer for IBM UK, Andy Stanford-Clark was one of the co-inventors of MQTT, the communication protocol that drives Facebook Messenger. Andy Stanford-Clark, or Andy SC to his friends and colleagues, works at the dizzy heights of Chief Technology Officer at an already very technical company, IBM UK. Amazingly he manages to carry out this high-powered role while living in a 16th Century cottage on the south side of the Isle of Wight - thanks in no small part to the power that ubiquitous broadband brings to every corner of the Island. Before we get into the details of Andy’s many achievements, let us just drop this mind-blowing fact on you - he co-created something called MQTT. While you probably don’t know what the jumble of letters is (not many do), it’s highly likely that you, or your relatives or friends, are using it on a daily basis without even knowing, of its Isle of Wight connection. MQTT has many uses - but just one of those is at Facebook. It’s the messaging protocol that underlies every message sent on Facebook Messenger - currently that’s 1.3 BILLION people across the globe using it! Yup - that’s Billion. 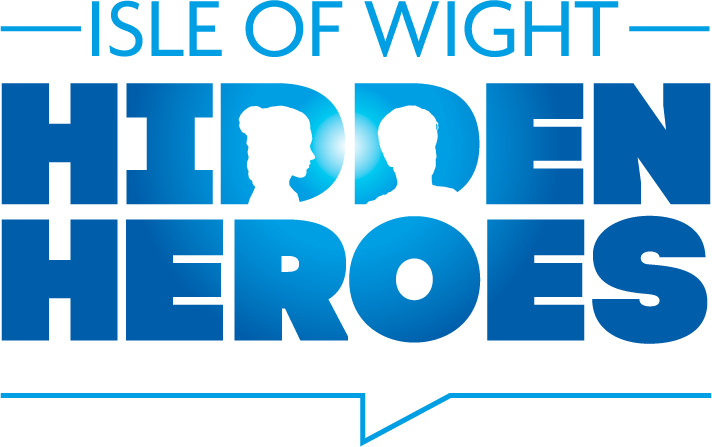 We picked Andy SC as a Hidden Hero because we felt he’s a modern example of one of the consistent threads that weaves through the Isle of Wight Hidden Heroes - achieving remarkable things by taking a unique, pioneering approach to solve a problem. In short, Thinking Differently. MQTT is just one thing that Andy has done, help him earn his IBM title of Master Inventor. Unsurprisingly with that on his business card, he’s quite an inventor, with more than 40 Patents to his name. These days he specialises in the Internet of Things (IoT) - putting sensors and tiny computers in pretty much everything, and having them chat away to the wider world about what they're up to. This might be a mousetrap to announce that it’s caught a mouse so needs to be reset, as he has in his house on the Isle of Wight, or sensors in a car that send information about wear-and-tear back to the manufacturer, so they can help make sure it doesn’t break down. The potential is huge. Andy’s passion for ingenious solutions to everyday, real-world problems started at an early age. Way back when he was only eight years old he built some electronic circuitry for his Mum, to detect when it was raining and then sound an alarm, so she could get the washing in off the line. He was part of the small team that created the first Website for the Wimbledon tennis championship in 1995. To give you a little perspective on quite how early this was, the first major commercial Web browser was released only about six months before. The Wimbledon site went on to gain a Guinness World record for being the Website with the highest rate of ‘hits’ up to that point. Not pausing for a breath, he was one of the main technical architects in the team that created the first ever Olympics Website for the 1996 Atlanta Games. Two years in development, it attracted traffic from all over the world, setting the bar for other Olympics to follow. After this huge global success, Andy and his team were asked, “What would you like to do next?” - Something a huge corporation like IBM rarely asks. This led to Andy setting up IBM’s Internet Advanced Technology Lab, which has gone on to create technologies that have transformed the way IBM employees work. A few years later came MQTT, originally designed to be used in the oil and gas industries for monitoring their pipelines. A simple summary of how it works - you tell MQTT something, it then tells everyone who is interested about that thing. Using Facebook Messenger as an example, you might write “Look at this cat video. LOL!”, MQTT would then, near instantly, pass this out to everyone in your group chat - be that two or two million people. We asked Andy what he thought were the secrets of MQTT’s remarkable success? It was designed to be simple to use and understand (the original specification was only seven pages, while some competing standards were 300 pages). It's now an international ISO standard. Understandably Andy is "Hugely proud of it". MQTT underlies the work that he and many others now do with the Internet of Things. Andy's vision for the Isle of Wight is a concerted effort to encourage lots of start-up companies to be formed on the Island - requiring a diverse range of skills. He hopes this will really help the young people of the Island to grow their ideas here, rather than feel they have to move to the Mainland. Find out more about Andy Stanford Clark at the Quay Arts Exhibition between 10th February - 24th March 2018.